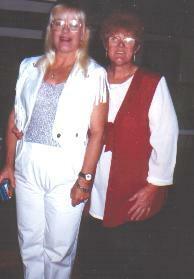 Glad that you are here to have a look at the material on this page .Enjoy yourself. 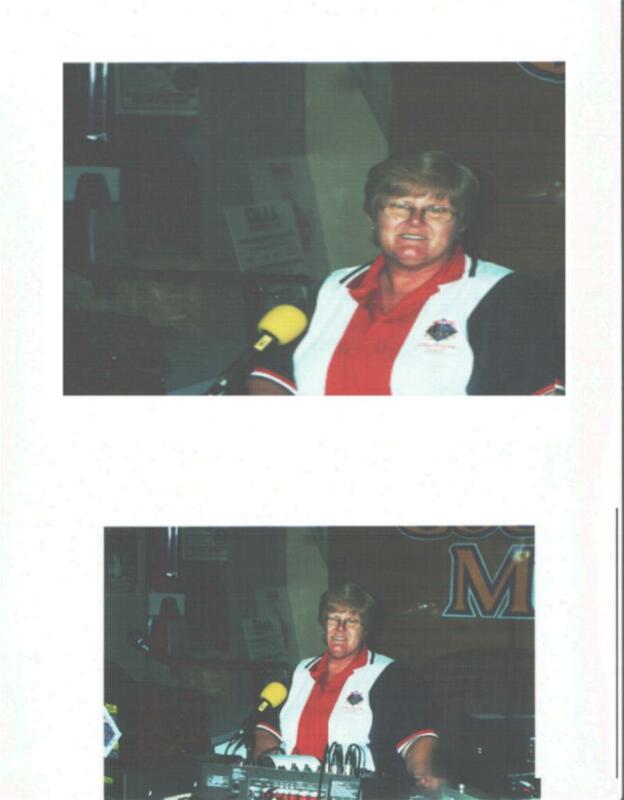 Pictures taken by a fan while on air at Toyota 101.5fm Festival Radio at the Tamworth Country Music Festival 2001.Thanks to the Victorian supporters. 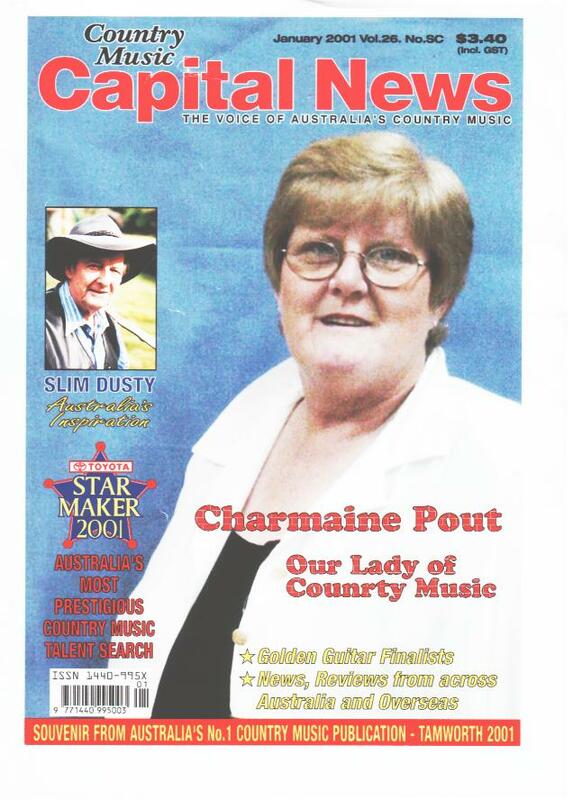 Oh what a Buzz to have my picture on the front page of Cap News this is my keep sake from the Tamworth Country Music Festival 2001. 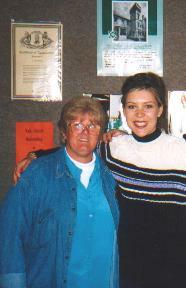 I was recently going threw an old photo album and came across this photo that was taken a number of years back when I worked in the Bathurst Store at the Lachlan Vintage Village which reminded me of a video shoot that I was involved with in May 2000 when Norma O'Hara made a video clip for her song "Fresh Horses" the video was shot on location at the Lachlan Vintage Village and captured the days of Ben Hall the Bushranger his grave today is situated in the Forbes Cemetery. Lots of history here at Forbes to learn about and our town is a beautiful place to live. 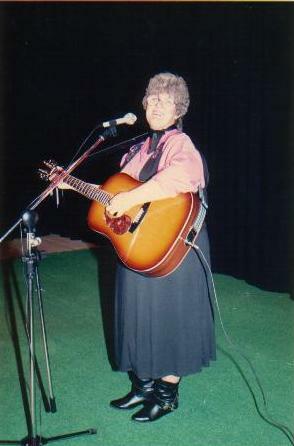 Here I am on stage at Arrow Town New Zealand with Dusty Spittle,Desree Crawford,Micheal Green, Peter Horan and members of the Shotover Country Music Club. 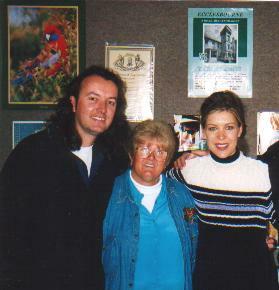 These memories will live with me forever as my trip to NZ also took me to the Gold Guitar Awards at Gore where I performed to a packed stadium and recieved a standing ovation and I also performed at many other venues in the south island while there. 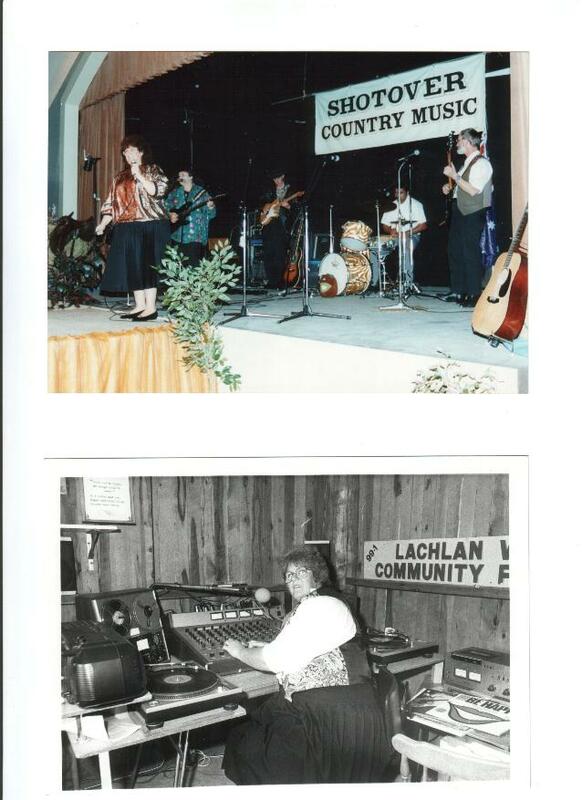 The next photo was taken at the Lachlan Vintage at Forbes when we first set up the radio station this was our first permanent studio. 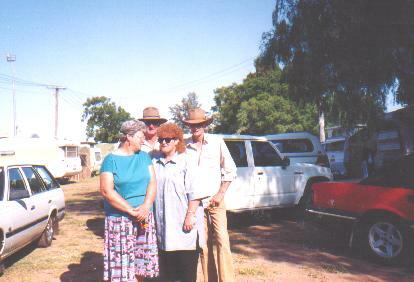 The station was then moved to the Parkes Road where it remains today. 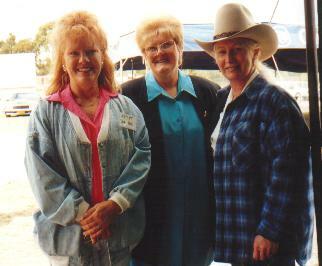 Two Country Singers together Charmaine and Gina Geofforys .Gina visited the town of Forbes in 1999. 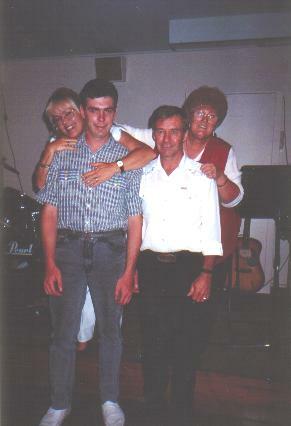 Here is a group of pictures taken before during and after Charmaine and Dyna Rea performed at the Forbes Bowling Club which is now known as the Forbes Sports and recreation Club in the photo's also is Dallas Murphy (drummer) and Ian Cameron (lead guitar) what a beaut night we all had and what a wonderful show to boot. 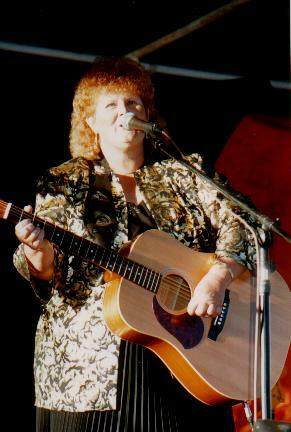 I came home from Tamworth a little early a few years back just to be part of the Australia Day Celebrations here in Forbes a big day with lots to see and do here I am performing for the huge crowds that come out to join everyone to celebrate this special day. 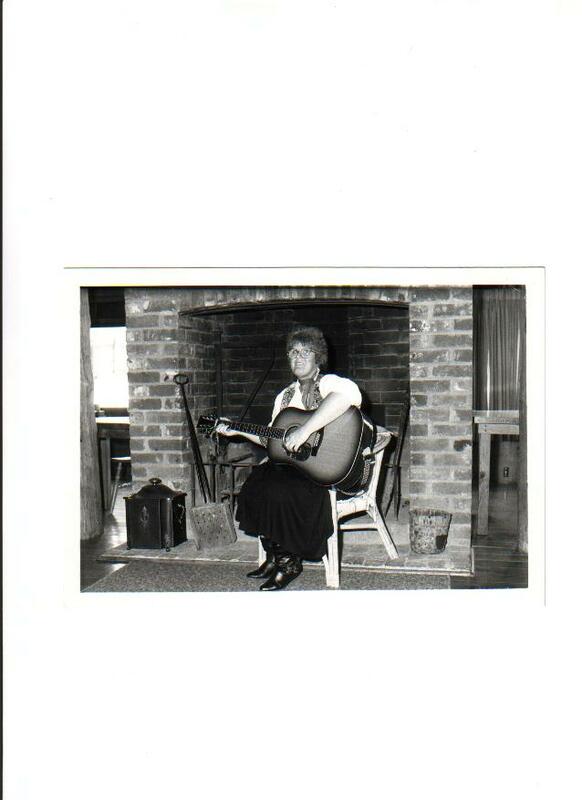 Sitting in front of the massive fire place in the dining room of the Lachlan Vintage Village where I used to entertain the many visiters to our fine town. 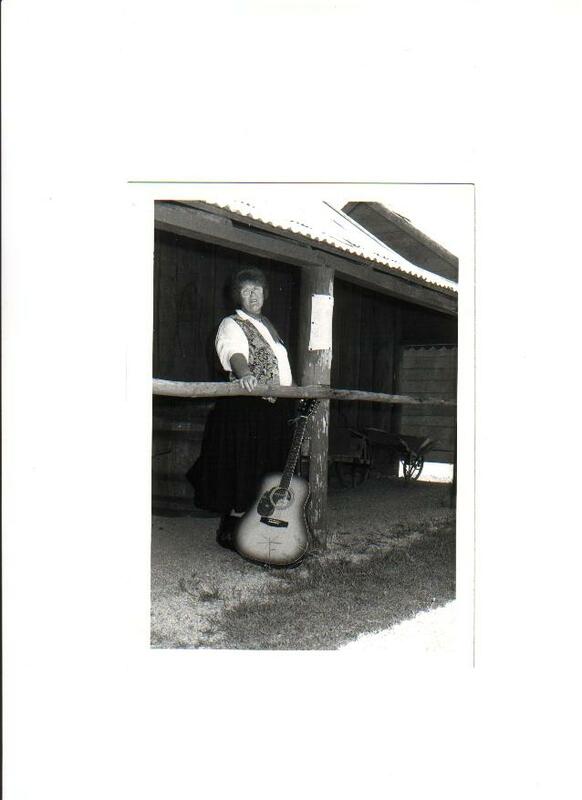 Photo below was taken outside the old stables at Lachlan Vintage Vintage.This is where Norma O'Hara Murphy filmed part of her video clip Fresh Horses in 2000. 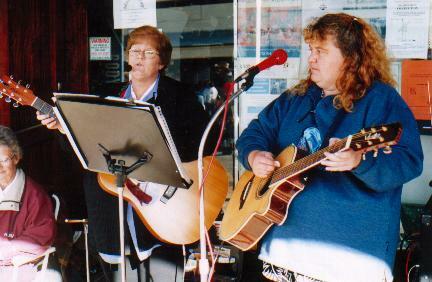 This photo shows Charmaine, her busking friend from Cowra Joanne and in the picture is the roadie her name is Judy this was taken while we were busking at the Henry Lawson Festival June 2000 at Grenfell N.S.W. 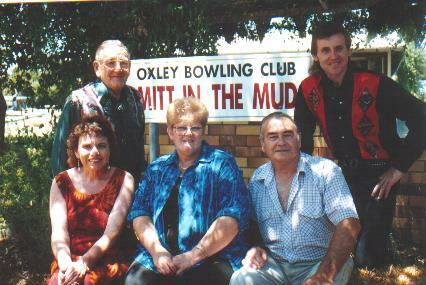 The four photos to below were taken at the Oxley Bowling Club during induction into the Mitts In The Mud at Tamworth. 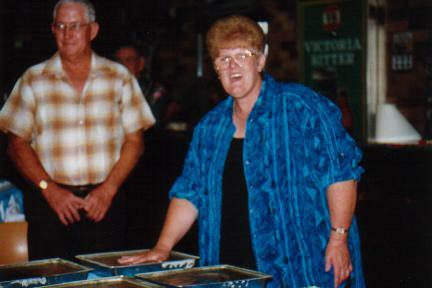 In the pictures are Ivan Span,Anne Conway,Bill Bice,Neil Flannigan,Graig Giles and Charmaine Pout.1998 was the year of induction and these hands are found in the garden of the club. 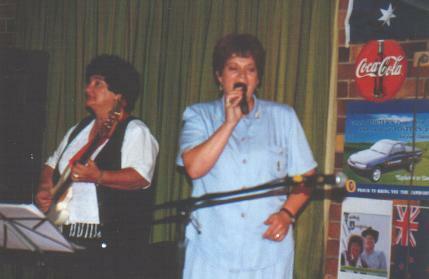 This picture was captured when my sister-in-law Lynette Hartwig made her first appearance on stage in Tamworth also in the picture is Olive Bice who played guitar on this special occasion. 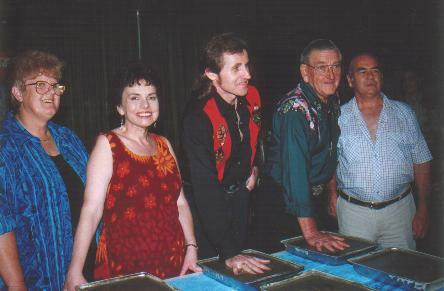 Charmaine with three of her fans at Tamworth Country Music Festival a few years back they are Jan and Tiger from QLD and Bill from Grenfell N.S.W. 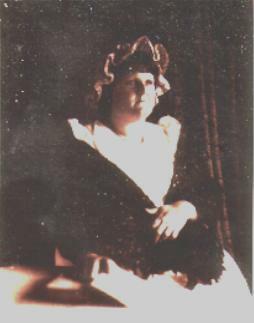 This photograph above brings back some special memories it was the night Charmaine attended a special function at Canowindra for the local high school. 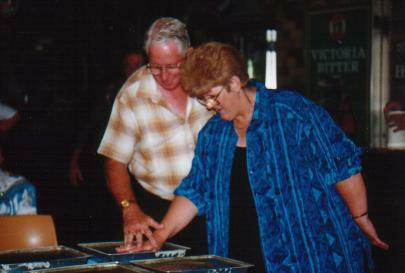 Below Barry Thornton and Charmaine Pout pictured back stage at the Bungendore Country Muster. 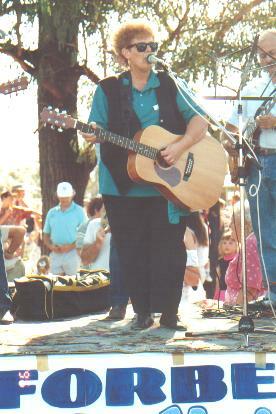 This next photo shows Charmaine Pout performing on stage at The Bungendore Country Muster.Charmaine is also known as the lady who blew out the lights at Bungendore but like a trouper she asked for some candles to light the stage at the Lake George Hotel so she could continue her show.For two hours she performed to a pack hotel without power and the crowd just loved getting in on the act and being part of the show with some of the activites. 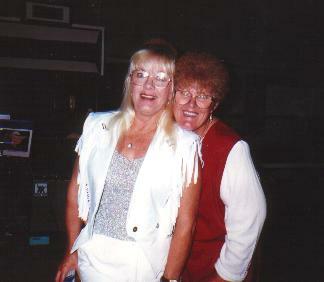 This page is being constantly updated so please come back again and check out my photo's. All Photographs are subject to copyright and must not be copied or used in any way without permisson.